Plasti-Fuse is a clear double sided fusible badge backing. It is used to give the badge a firm backing and also allows the customer to iron the badge directly onto the garment. It is easy to apply. * Turn your embroidered badge upside down. * Place the Plasti-Fuse over the badge (no need to cut to size) with the paper facing you. * Iron on using a Polyester/Cotton setting (130-150C) for about 8-12 seconds. 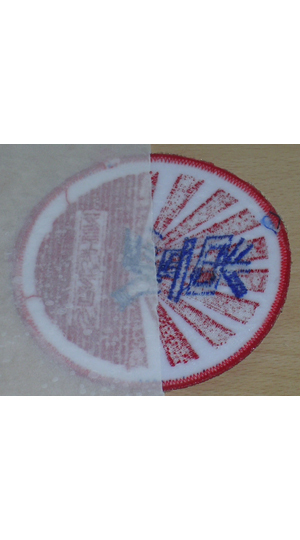 * When cool, remove the paper and tear away around the edge of the badge. * This is now ready for your customer to iron onto the garment. Sold per meter of 24cm wide. Just tried this on some baseball caps works just like you said it would I will be ordering more when I need to thanks for a great item.